Are you ready for the summer months? As winter fades away, longer days filled with sunshine and great weather are nearly here. With increased fun in the sun, however, comes an increased risk of damage to your skin. Trust me–I’ve spent enough hours outside without the right skincare to know that it’s important to establish a great skincare regimen to keep my skin healthy. Like anyone else, I need my skin to look great and feel healthy. Let’s look at 4 skincare regimens to take up this spring. You might not think about clay masks as a staple of an effective skincare regimen, but it might be time to reconsider. While it’s true that they can be a little messy at times, clay masks–clay from the Mediterranean, to be more specific–can be an incredible tool to keep your skin clear and soft. These masks are especially effective at pulling out impacted debris and sebum from your pores. It makes them a great choice for people who struggle with blackheads and whiteheads. Check out this list of clay masks for combination skin. For many, washing their skin and tossing on some moisturizer is pretty much the extent of their skincare regimen. This really is the bare minimum you can do to help your skin be the best it can possibly be. However, you should consider adding a few extra steps to your routine. This is especially true if you have any particular skin problems, like acne or acne scarring, to contend with. Adding a serum or a mask geared towards solving your specific issues could be incredibly beneficial to the overall health and appearance of your skin. 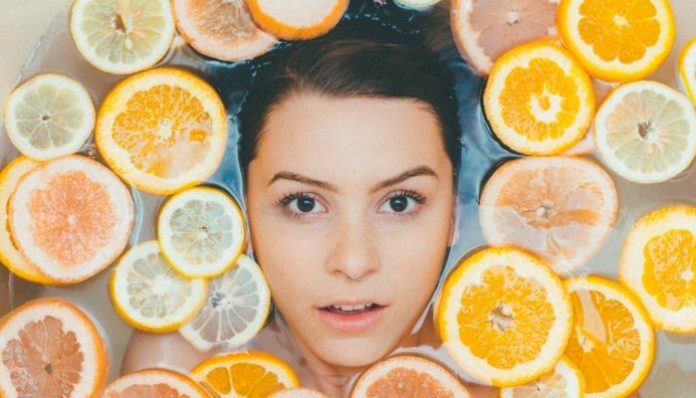 Many people know that it’s important to keep your skin clean and moisturized, but did you know that an exfoliator can be an incredible boost to your skin? When used properly, exfoliators make my skin feel incredibly soft and smooth. It’s important to pick the right kind and start slow to see how your skin reacts. Physical exfoliation, like specially designed washcloths or tools, can be used once every week or two. Chemical exfoliators, like AHA or BHA toners, should be introduced into your skincare routine slowly. Start with once a week and slowly increase to give your skin a chance to adapt. I know, this doesn’t seem like a “skincare regimen” to follow, right? I’d argue that it’s actually the most important step to take to ensure that your skin remains healthy. Our body and mind rest and repair itself when we sleep, and that includes your skin. Sleep is a time of rejuvenation and allows our bodies to heal and refresh themselves from the day’s wear and tear. Research studies have found lack of sleep can increase skin aging, slow the skin’s ability to heal itself from sun damage, and fail to retain moisture, which leads to dry and irritated skin. If you want to keep your skin glowing all season long, make sure you are logging an adequate amount of rest (you’ll want at least seven hours). If you find yourself struggling to get quality sleep, take a look at your sleep environment. Is it too bright and noisy in your bedroom? Are you sleeping on a 10-year-old mattress that’s causing you aches and pains? Maybe you should nix the late-afternoon caffeine fix. Get the sleep you need this spring for the sake of your skin (if nothing else)! Sure, there are factors and genetics that impact your skin that are out of your control. However, there are healthy habits and products you can introduce into your routine to keep your skin looking fresh all summer long! With these four tips you can work your way to clearer skin.